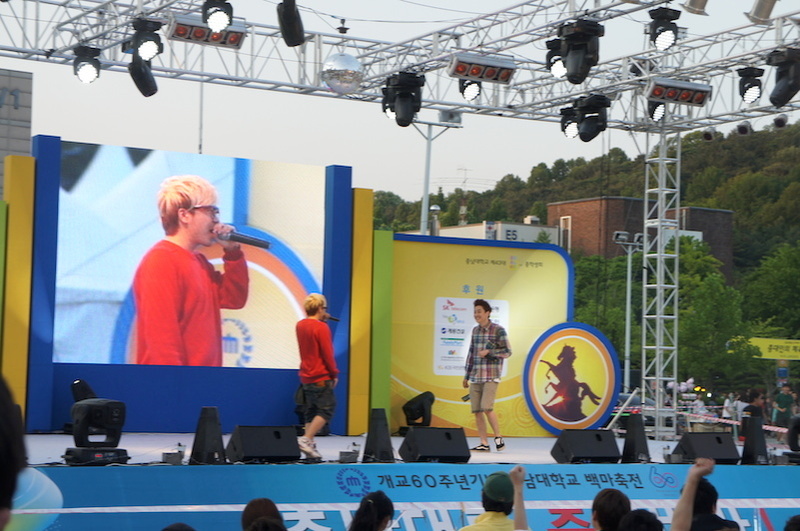 충남대학교 | Oh Happy Dae! 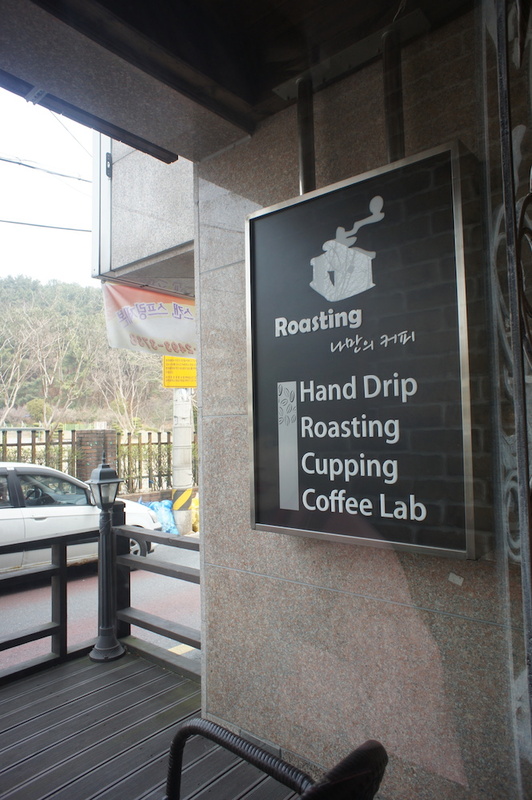 Posted in Daejeon, Life in Korea, vlog	by Oh Happy Dae! Time for a throwback vlog! 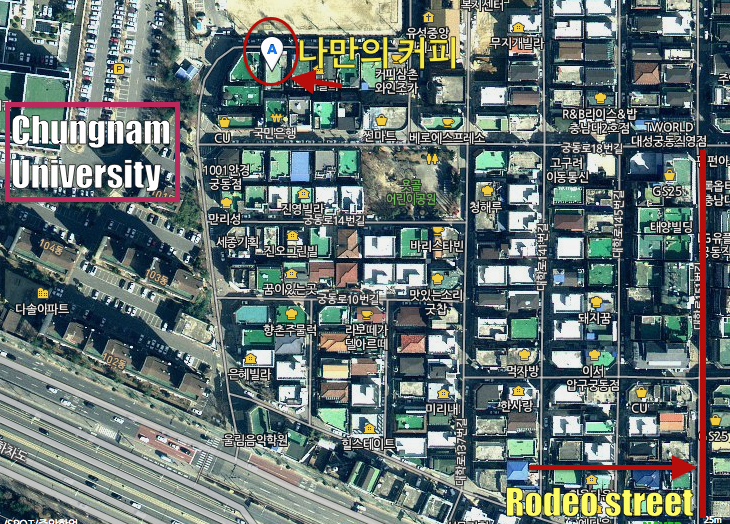 When I lived in Daejeon, I lived just 2 bus stops away from Chungnam University. 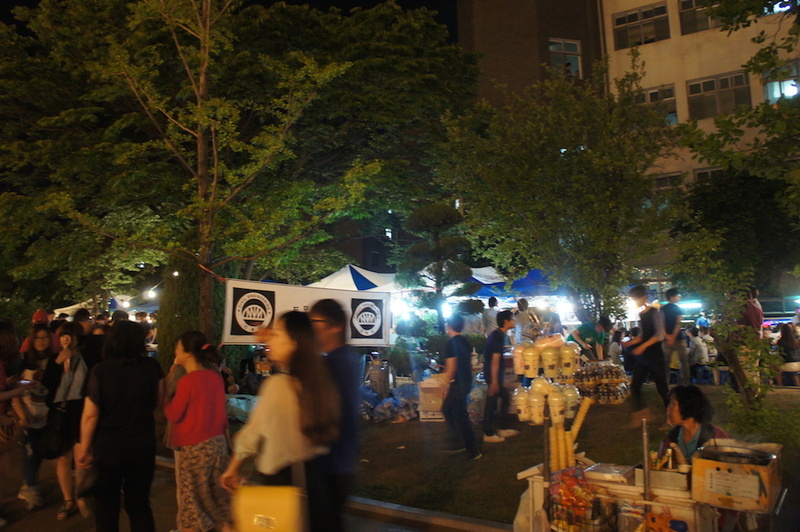 It was really convenient because the area around the university is a popular place for twenty-somethings to hang out (seeing as many students live in the area). 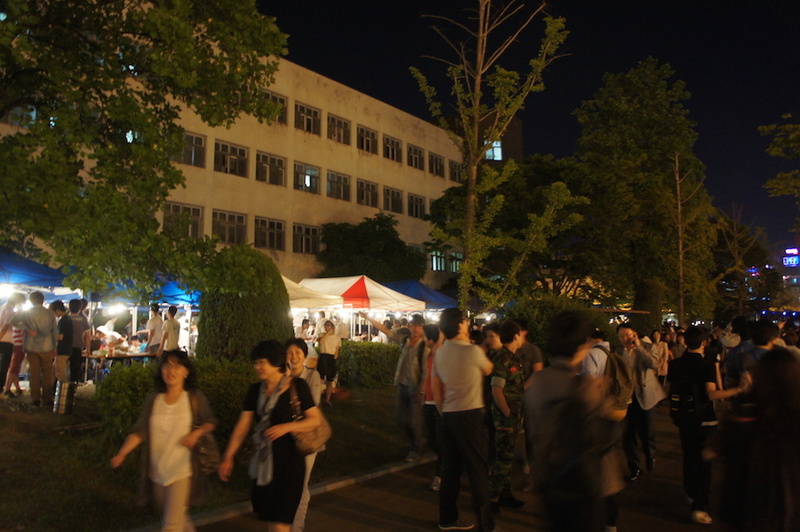 At least once a year, the university holds a festival. 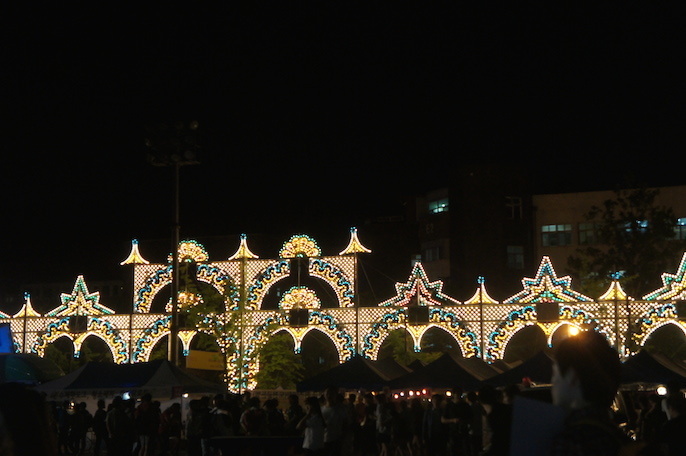 Actually, many Korean universities have festivals. 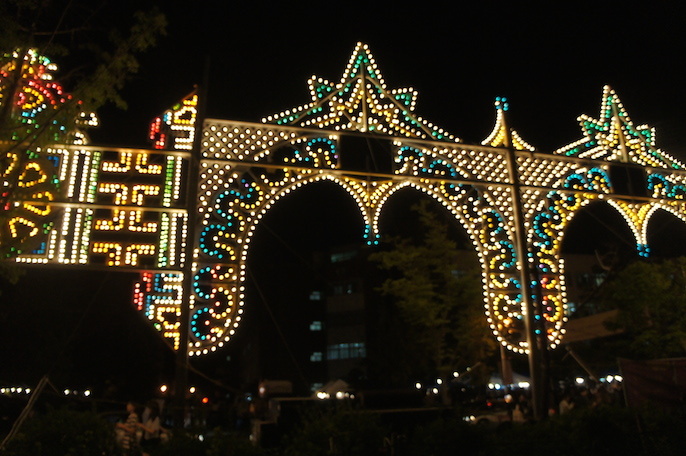 The main activities of these festivals are eating and drinking. 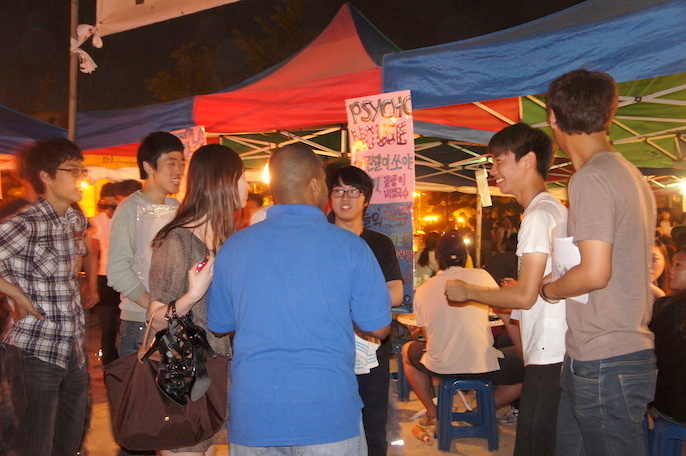 Clubs or departments will set up tents and sell food and refreshments, namely alcohol like beer, soju, and makkeoli. One tent we went in had a 노래방/karaoke machine set up. And I loves me some karaoke! There will usually be a performance too. 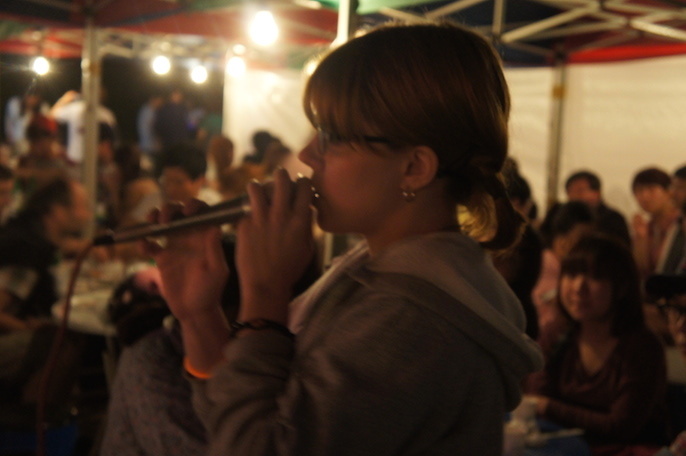 Sometimes students will perform a bit, and after a professional singer will perform as well. 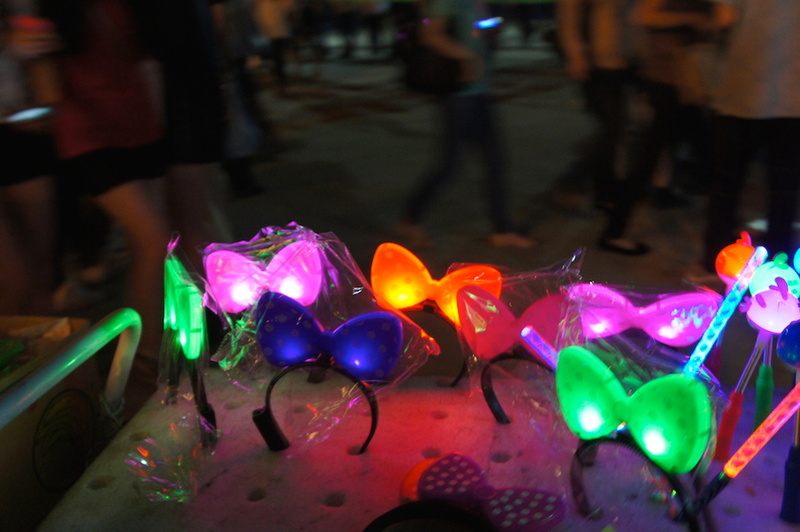 When I went this time, it was in 2012 and Geeks and 4Minute performed. Pretty lucky! 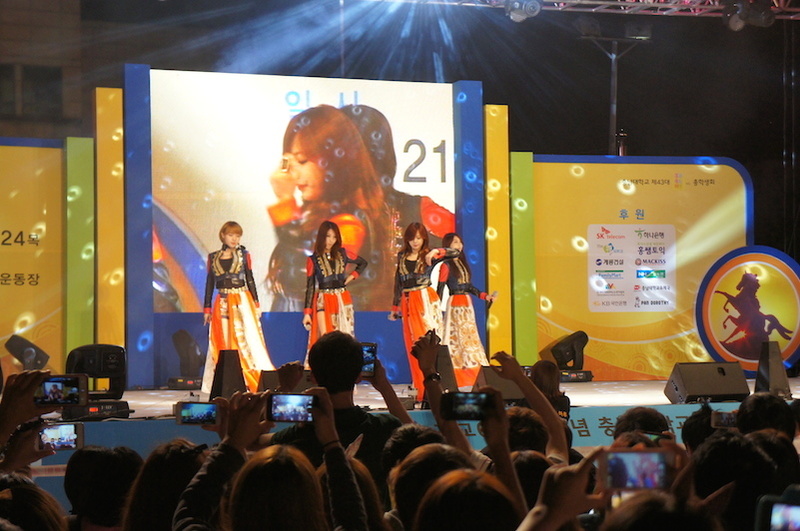 Though I remember Gayoon was out sick, but it was still fun to see an idol group that close. 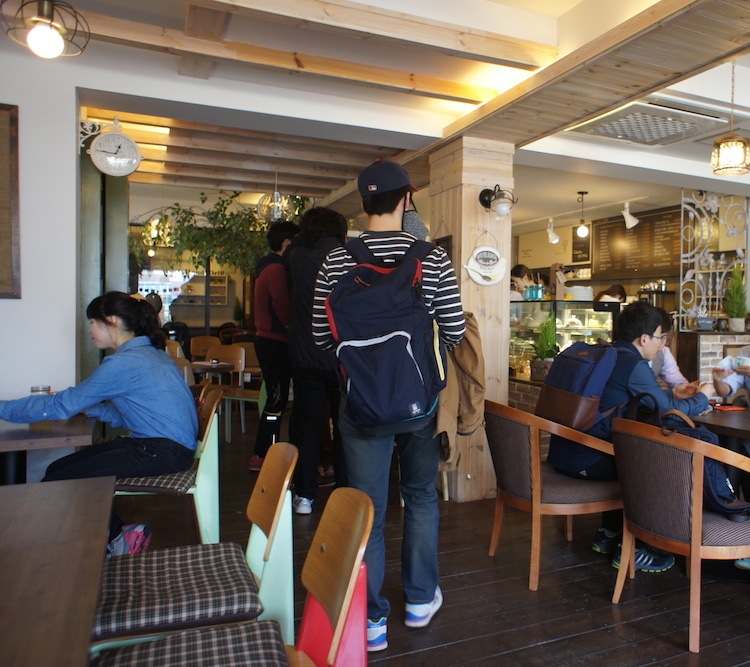 It’s a nice chance to walk around with friends and relax. 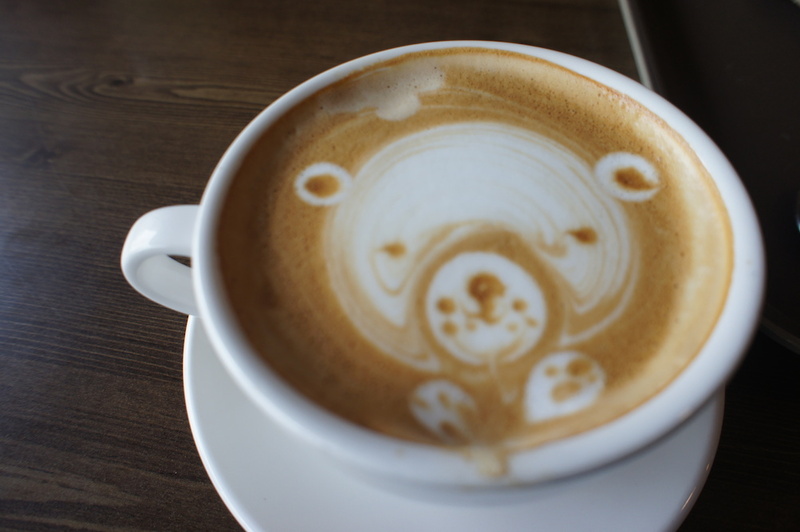 I haven’t seen anything quite like this in the States. If we did, they probably wouldn’t sell alcohol. **Note: It was all students running things so it’s not like anyone was carding people. They assumed everyone is of age. It’s a fun! 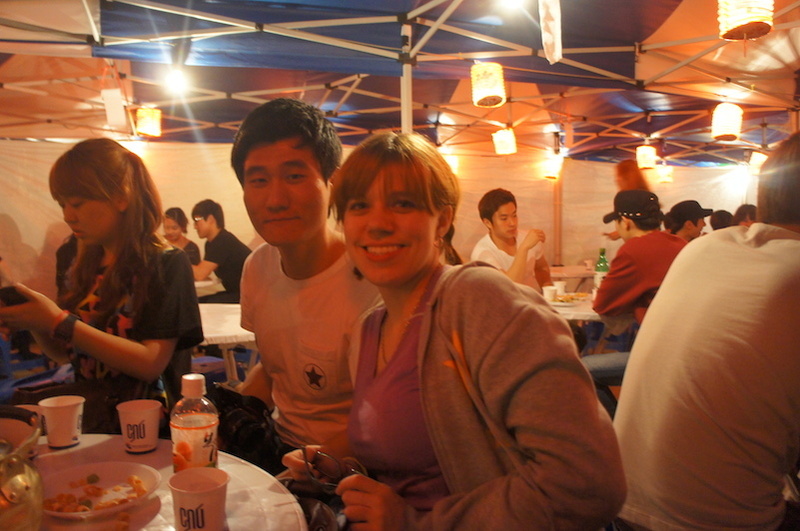 I went to one or two other festivals during my time in Korea. 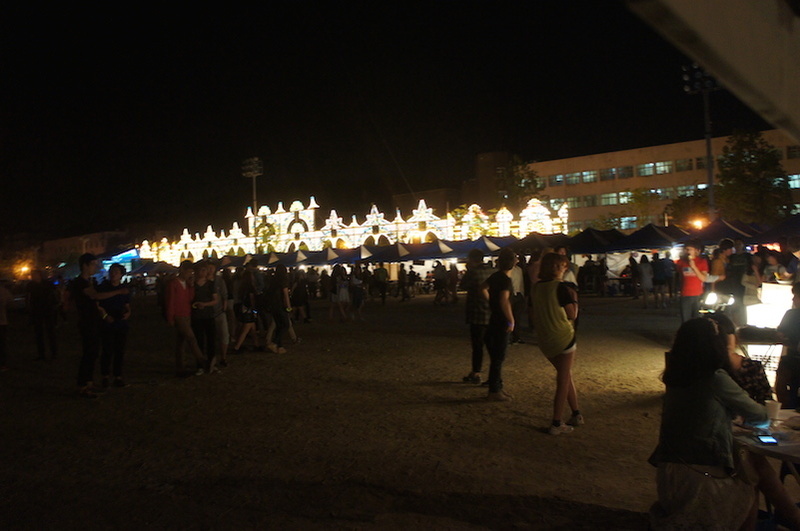 One time they event set up a giant closed-off tent as a club. College kids sure know how to party.